For Indoor/Outdoor use. Gentle enough to clean dishes without scratching; effective enough to remove dirt and grease in the work shop as well as in the home. 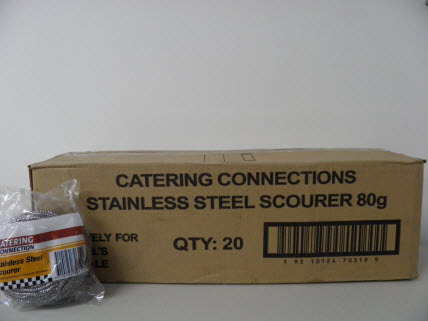 Easy removal of dried on or baked on foods from pots, pans, barbecue grills and rotisseries. Removes rust. Cleans dirt and grime from tools and other metal objects.